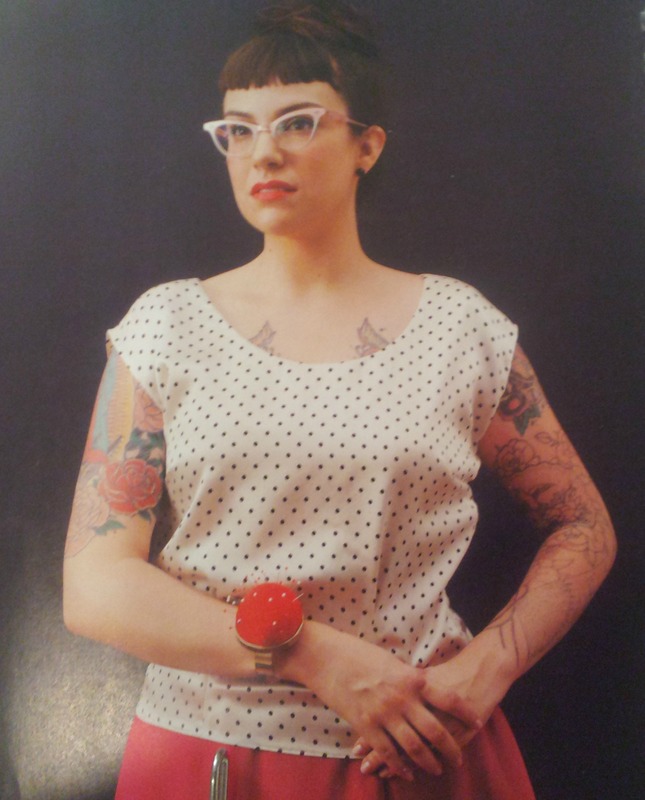 I’ve already made the Pencil Skirt from Gertie‘s New Book for Better Sewing but I haven’t found the right blouse to wear with it. Hence, starting on the Portrait Blouse. 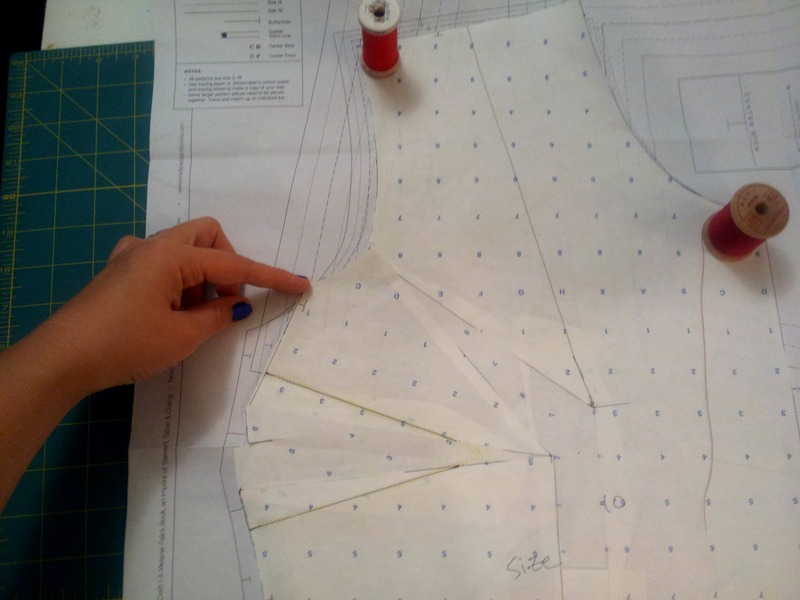 The patterns from this book come on sheets so you’ll need to trace your size first before you can get started. I traced the size 10. When making blouses/tops/bodices, I go with the size that matches my high bust. I’ll show why in a couple of photos down. Here are the front, back and corresponding facings cut out and ready to go. But first, I need to do an FBA, or Full Bust Adjustment. I’ve got a number of links on the side here for those of you who are interested in doing this kind of adjustment. Below is my front piece all FBA’d. In short, you’re adding room to the bust area instead of just making it bigger all over. In the photos above and below, I’ve got my adjusted front blouse pattern piece lying on top of the original Portrait Blouse pattern. As you can see, on the left of my pattern, it lines up with the second to last size. However, the bust dart is larger than the original. 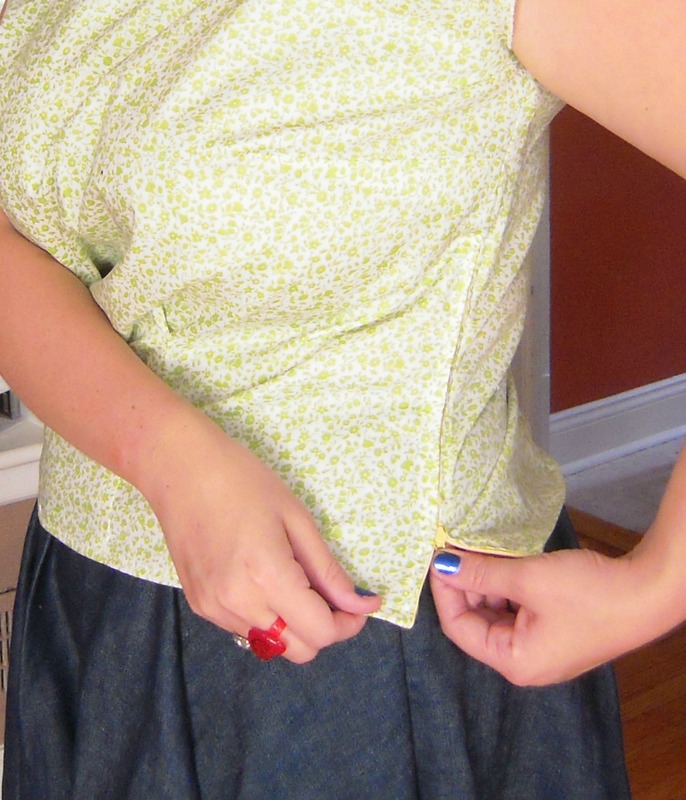 In the photo below, I’m pointing at the bottom of the armhole. It’s hard to tell but it doesn’t line up with the larger size. 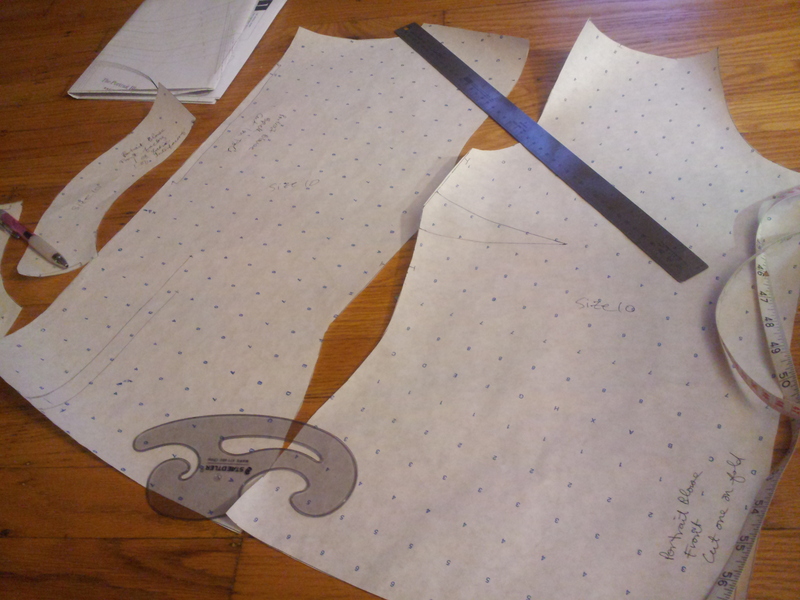 It actually lines up with a much smaller size- hence, starting with my high bust measurement. This way, the armholes won’t be at my knees just to accommodate a larger bust. I figured I’d be wearing this top tucked in so I wanted it to be snug against my hips. 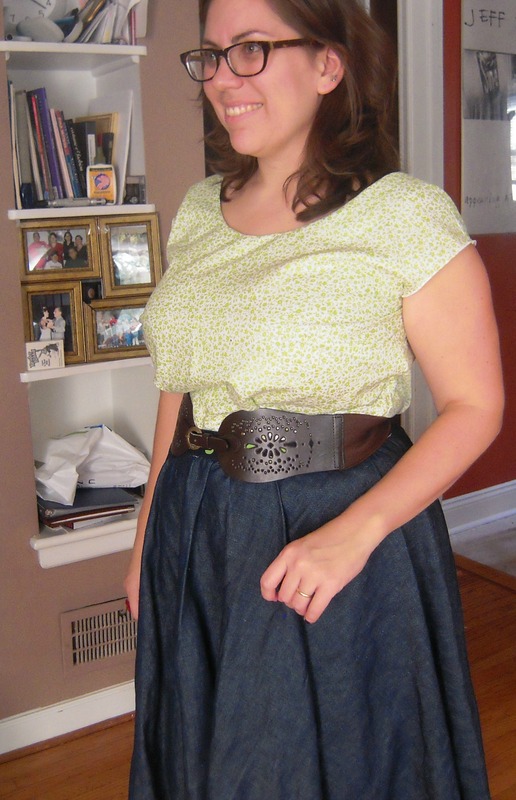 Here are a couple of different ways I could wear this blouse. Since this is my first go at the Portrait Blouse, I did it as a muslin. That said, I made it out of a delicate voile. The front is underlined with white batiste while the back is left a single layer of voile. I did the neck facings but serged the armholes and bottom hem- the bottom edge does also have a narrow hem. I LOVE the side zipper. It’s handpicked- which I actually recommend for people who are afraid of sewing a zipper with their sewing machine. It doesn’t take as much time as you might think. Put on some tunes, take a rock stance, and handpick that zipper at your ironing board. You can do it sitting, but then you can’t get a solid rock stance. Your choice. 1. Side bust darts on more of an angle. When they’re parallel to the floor, they are far from flattering. 3. Move the under bust tucks to the side seams by one inch. They currently don’t point to the bust apex. 4. Use a stable knit, which will go better with my corduroy pencil skirt, and my fall/winter wardrobe. What do you think of this blouse on me? Yep, those changes you listed are what I would change too. (I don’t think you mentioned this but you might want to remove a little from the center back neckline – looks like it is gapping some in the photo.) 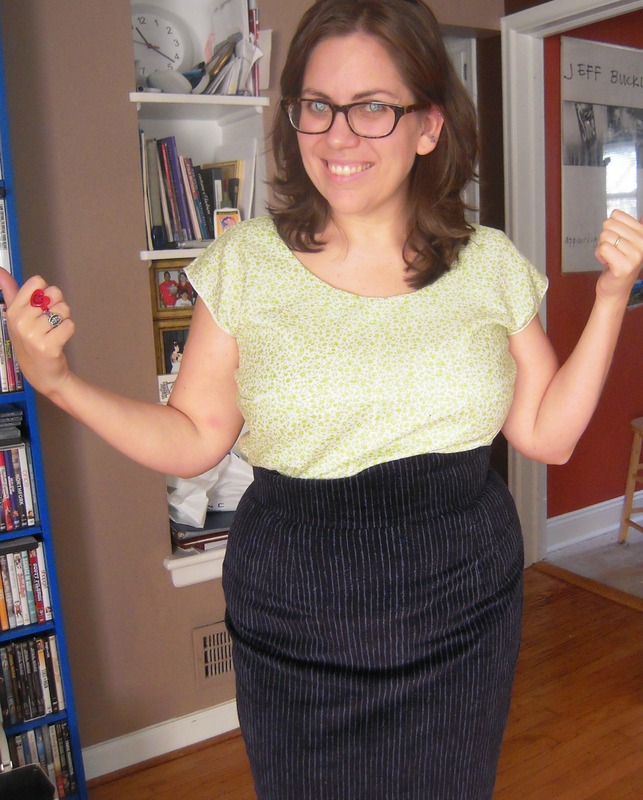 And it will be really nice in a knit with your pencil skirt! You are an FBA ROCKSTAR! You said you want comments but I am so not an expert, so I will try. The only less than stellar things I see are 1. the color/fabric may just not be flattering – using a knit or just a different woven will help. You know I love knits! and 2. it seems short, not by much and I know that’s the style, but that’s the first thing I noticed. I like the neckline and the sleeves. I like the side zip! Moving the darts will definitely help. There is my very not-expert opinion! Thanks, Erin. It’s helpful to hear what a new set of eyes sees. I really appreciate it. I think you’re right about the color and just needing a knit. I’m gonna go stash diving for something. ooo this is lovely! like the colour and the side zip is great! thanks for the hand picking hint! So impressive you handpicked the zipper! I’m inspired. I would love to see something like that- I’ve never done one. That’d be great! A little 1912 meet up. I’ll get in touch with you for the next time I’m in town. I should try this. Sounds exactly like what I need. It’s also great to meet people who share my fitting issues. Nice job, Ms. Leila. 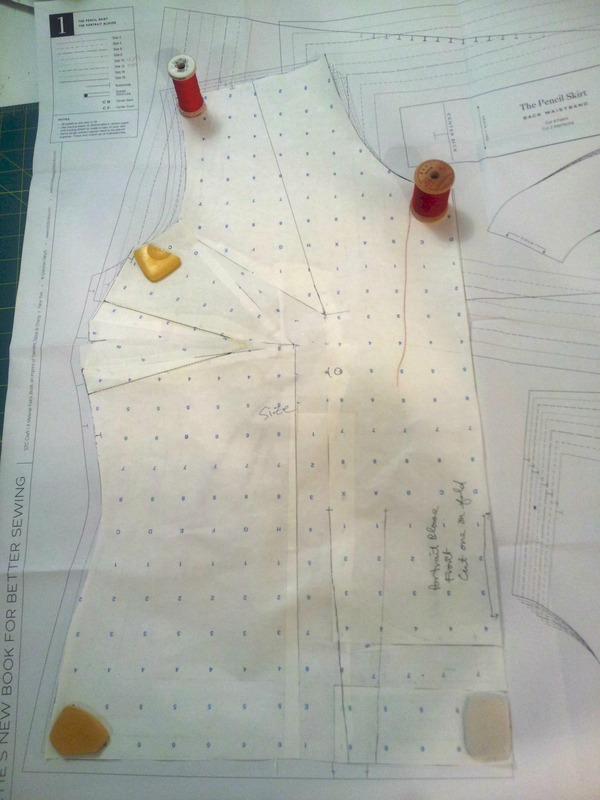 I’ve been rethinking FBAs after reading Joi Mahon’s book on pattern fitting. Just finished up my third Portrait B. The blouse looks really nice on you, btw. You’re welcome. I’ve learned so much from tutorials like this one and now I run my own fashion design business. I just did a handpicked zipper on a wool dress I made for a client. Not everyone appreciates this craft as much as this client! Let me know if I can help with pattern adjustments. I make custom wedding day and red carpet fashion, and I see a lot of different sizes. Thank you 😊 To think, I used to hate handsewing in home ed and now I find it really relaxing. Same with me! I did everything to avoid it. Now, I can’t wait for a client who notices and appreciates it!